Been for Education is a new site that allows educators to safely browse and curate the web with their students for collaboratively learning. Been for Education is an ideal tool to use in an educational setting due to its safety features and its utility across any curriculum, class, or subject. This is a great way for teachers to guide students' learning as they discover, bookmark, and discuss the Web. Been is very easy to use tool and only requires a web browser add-on to be installed to start using. After that, it’s just the click of a button to start creating “Beens.” There is a helpful FAQ section on the site. Also, there is an informational “Getting Started” section that explains how Been is being used in education, as well as video tutorials on their home page. Been for Education is a visually stunning way to bookmark a site—sort of like a stylized version of Diigo with collaborative features. There is a “Surfing Together” function that enables teachers or students to lead a synchronous browsing session with others. Been is an educational portal that allows educators to create and manage student accounts (manually or via batch upload). Been wraps each class in a “protective bubble” that allows for safe collaborating/searching over the Web. A school district’s filter functions inside of Been so inappropriate sites will be blocked. All student content, such as comments, Beens, and messages, are moderated and filtered by the teacher. Finally, students can only see Beens approved by the teacher, making this a safe CIPA/COPPA compliant tool for education. 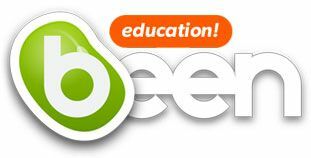 Been for Education is a great tool for educators to use with their students by creating a safe way to collaborate and bookmark the web.